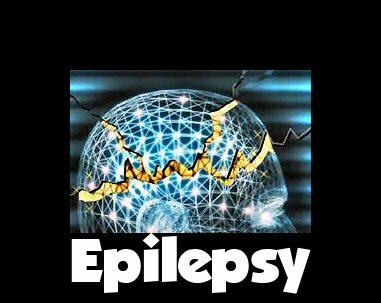 Epilepsy is a brain disorder in which a person has repeated seizures over time. Seizures are episodes of disturbed brain activity that cause changes in attention or behavior. Epilepsy seizures usually begin between ages 5 and 20, but they can happen at any age. There may be a family history of seizures or epilepsy. Symptoms vary from person to person. Some people may have simple staring spells, while others have violent shaking and loss of alertness. The type of seizure depends on the part of the brain affected and cause of epilepsy. Most of the time, the seizure is similar to the previous one. Some people with epilepsy have a strange sensation before each seizure. This is called an aura. An EEG (electroencephalogram) will be done to check the electrical activity in the brain. People with epilepsy will often have abnormal electrical activity seen on this test. In some cases, the test may show the area in the brain where the seizures start. The brain may appear normal after a seizure or between seizures. Head CT or MRI scan often done to find the cause and location of the problem in the brain. Homeopathy can treat seizure disorders very well by simply riding on the waves of the brain and mind of the person. Homeopathy gives more importance to the patient’s feelings / moods, timing of attack, lunar phases and causative or triggering factors like tension, sleeplessness, watching TV / playing video games for a prolonged time, etc., than for presentation and nature of complaint for selecting the right remedy. For example, some will get seizure only during sleep, some others will suffer only during the day and never at night, some will suffer during the Full Moon or New Moon phases, some others will suffer after over excitement or after overeating or after they feel afraid of something. Likewise, one’s nature / course of suffering will differ. Homeopathy works out individualization here and treats person as a whole to root out the disease. In Homeopathy, the response will be quick and good in persons who opt for this treatment in the start-up of the condition and the response will be slow in persons who came for treatment late with dependence on Allopathic drugs. People who depend on Allopathic drugs should not stop them all of a sudden, since if they do so, they would often meet a crescendo of rebounding jerks or blackouts. So, Allopathic medicines / anti seizure medicines used for suppressing seizures should be tapered off in a slow manner after gaining / feeling betterment with homeopathic medicines. First they should increase the duration between medications along with administration of Homeopathy medicines, and then they should reduce the anti-epileptic drugs’ dosage levels slowly. One need not worry about going in for two systems of medicine simultaneously since there won’t be any side-effects or interaction. Homeopathic medicine is strongly recommended! Dr. Ramesh Bhardwaj has successfully cured many cases of Epilepsy. One can get symptomatic relief within few weeks. Complete cure within few months.